You are currently browsing the daily archive for July 4, 2007. I have already written about Yoga in “Is Yoga Occult?”. Well it is and here’s why. Yoga is based on Hinduism no matter what others may say. It’s main goal is ‘union” with Brahman a Hindu god. The names of the asansas (positions) are Hindu goddesses and were named as worship to them. The positions that one holds, were developed to force the Kundalini Power up the spine through the Chakras (wheels) with the ultimate goal of reaching the Crown Chakra. This causes an “enlightenment”. I have read that few ever are able to reach this final state, but in the process you are involving yourself in Hinduism. There are two dangerous aspects. Meditation, used in many other practices other than Yoga, empties your mind of thought. What happens when you meditate is that you alter your consciousness. Many religions worldwide use meditation as a tool for spiritual growth and now it is being advertised today in the West as a form of relaxation. Kundalini Yoga. Serpent Power. I wonder how many Yoga teachers bring to their students attention, that Kundalini translates into Serpent Power. 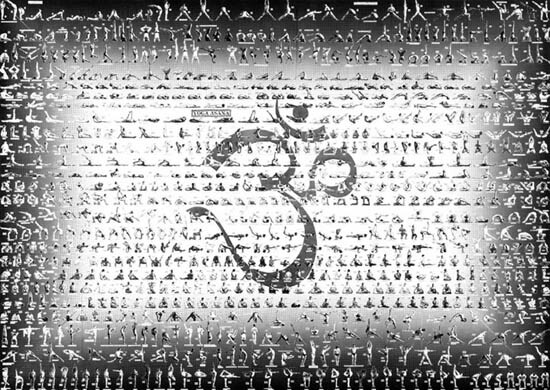 In “Is Yoga Occult?” I quoted the many manifestations that can occur. I was criticized for using the extreme manifestations but the words that people have been using in their search engines to find my blog, are….demons, occult, insanity, serpent power, etc. I found that I could not downplay the worst that could happen, just as a drug company would not leave out the extreme side effects of a medication, (ha… sorry …bad example). Warning: Yoga is not for Christians. It will initiate you into a worldview and practices that may separate you from Christ. CP is just a step beyond meditation. Basically it is repeating a biblical phrase till you become “Still”. Even though it is a biblical phrase it still becomes a “mantra” because when a phrase is repeated over and over again it becomes meaningless suspending you into an altered state of consciousness. Eastern pagan religions such as Buddhism and Hinduism have always used mystical meditation. Buddhist call this state Nirvana, New Agers call it unity with the universe or oneness with God, Christians call it contemplative prayer. Other names that may be used for CP is centering prayer, listening prayer, breath prayer, or prayer of the heart. But it is all the same, part of the mystical movement called Contemplative Spirituality. This list is far from complete. Two that surprised me were David Jeremiah and Michael W. Smith. I used to watch David Jeremiah on TBN ( I never watch TBN anymore) and I used to listen to Michael W. Smith all the time. But I found out Smith is a promoter of Brennan Manning’s book “Above All” which advocates CP . Now I have to toss the CD’s I have because now I can hear how hypnotic some of his songs are and to stay true to the findings of my research, have to abandon this artist. Warning: If a church leader or anyone recommends anything that resembles meditation with repetitions, do not do it! Have you heard of spirit guides? Well, this is another bonus of CP and channeling. While you are repeating your biblical phrase (chanting) someone may talk back to you. This is the case of Barbara Hubbard Marx, one of most well-known NewAgers who heard an “inner voice”. This inner voice Of Marx’s actually dictated a “new” book of Revelation. Obviously these quotes show that Marx’s “Christ” is a false Christ, a spirit merely masquerading. Those who get involved with these New Age techniques become deceived because the experiences seem to be real, pure, and uplifting. This new gospel is nothing but deceit and rubbish. J.Z. Knight is a channeler of the 35,000 year old warrior Ramtha here in my home state of Washington. A quick look at Ramtha’s web site is pretty revealing and predictably follows the New Age mantras. To make known the unknown. The concept that consciousness and energy create the nature of reality. The challenge to conquer yourself. These are the same New Age goals you will collectively find in all New Age definitions. The same glorification of self, the desire to learn the esoteric unknown, and that an altered consciousness is the way to these truths. Christian’s should not involve themselves in any practice that eliminates Jesus Christ, makes oneself a God, and searches for unknown truths outside of scripture. I have read so much about visualization the last couple of weeks that my eyes are all glazed over. This being the case, I have decided to use a summary from Brian Flynn’s “Running Against the Wind”. Creative Visualization is the practice of creating mental images for the purpose of self-improvement or personal gain. The underlying belief is that if someone can ceate a mental picture of a desired outcome…let’s say more confidence in social and business settings, or a physical healing…then that outcome can be achieved by mentally picturing it into existence. Here again is the underlying philosophy that every human being has a higher self or the God within who can, like God, virtually speak things into existence. Guided Imagery is in the same category as creative visualization. Some guided imagery programs actually suggest meeting a being in your mind to assist you. This is dangerous because it opens the door to spirits that are not of God. Sadly countless Christians have jumped into this trend by creating their own version of guided imagery where they suggest meeting Jesus to act as a guide. This is problematic in that it creates a false belief that you are actually meeting and talking with Jesus in a mystical sense. There is no scriptual support that God chooses to communicate with us in this way. This summary truly reminds me of all aspects of meditation and yoga. The deification of self, the necessity for the altered state of consciousness, the desire for power, the possibility of contacting the spirit world and the deception that can follow by thinking this contact is godly. This is just another New Age occult practice that is spreading from the secular world to the church. It suggests that we are divine and can create our own reality when we should be bowing to Jesus, seeking Him only and doing his will. Do not look inside yourself, to try to visualize an inner “Jesus”. The real Jesus is found in the words of the Bible.